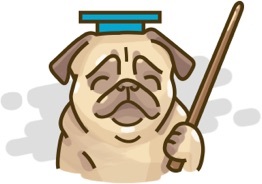 How to read a line graph? Mrs. K created a graph to keep track of attendance in her classroom over a week. On which days were exactly 2 students absent? 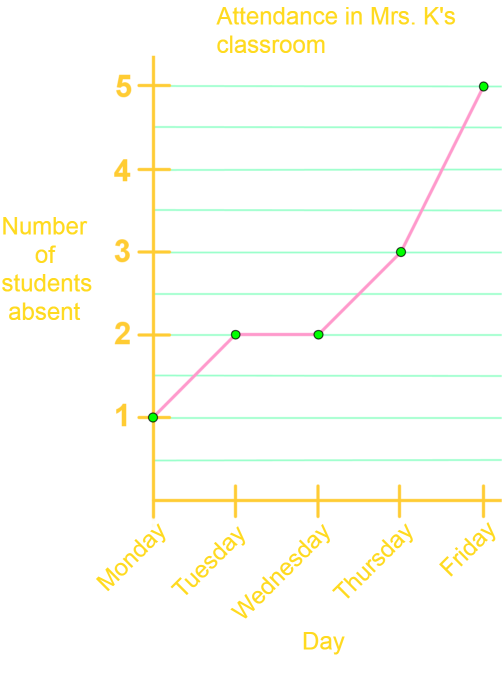 How many more students were absent on Friday versus Tuesday? Which day had the best attendance? 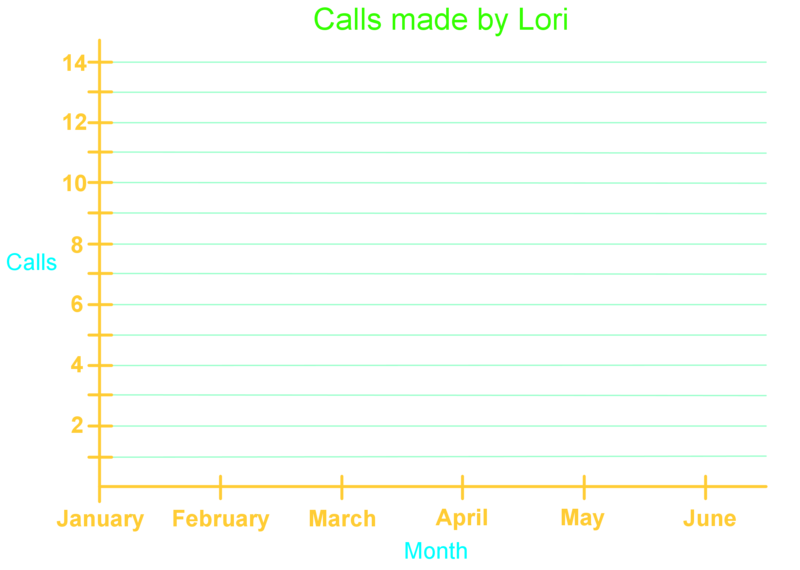 Lori kept track of the number of long distance calls she made over a 6 month period. Display the data in the table in a line graph. Was Lori more, less or just as likely to make long distance calls later in these 6 months? 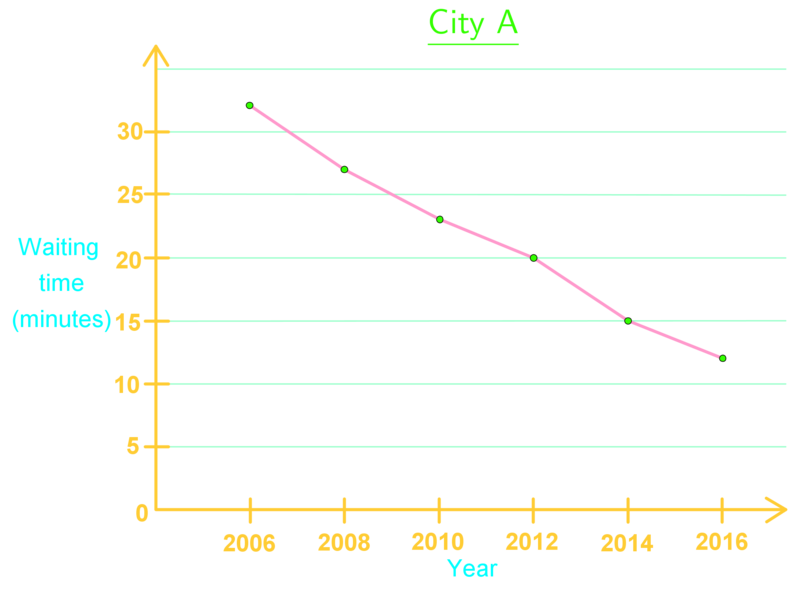 The governments of two cities claim that they have done a very successful job in developing the public transit system over the past 10 years. 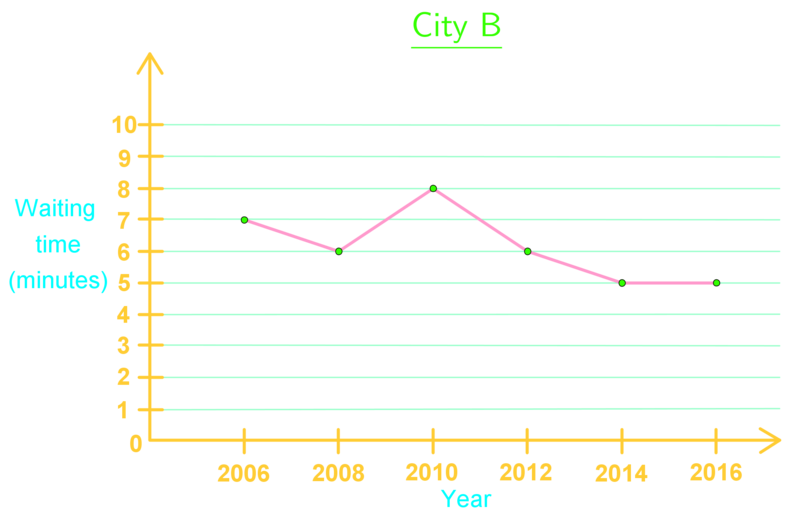 Below are line graphs showing the average waiting times for a bus in the two cities in the past 10 years. Which government improved the waiting time more? Which government did a better job in developing public transit system overall?